India has been grossly misrepresented by diasporic writers, and Indian writers who seek to voice the authentic India through literary means are often drowned out in the cacophony of the former. Elucidating her topic of discussion, which was Writing India Right: Indian Writing in English and the Global Market, Professor Vrinda Nabar (Visiting Research Professor Programme under the Baakibab Borkar Chair) notes the story of an Indian poet who managed to have his work accepted by a Western literary journal by adding that his writing had been translated by him from an Indian language. ‘This story, whether apocryphal or otherwise, captures the experienced realities of Indian writing from the ‘margins’, a term which has ironically increasingly come to mean India, even in today’s globalised world. 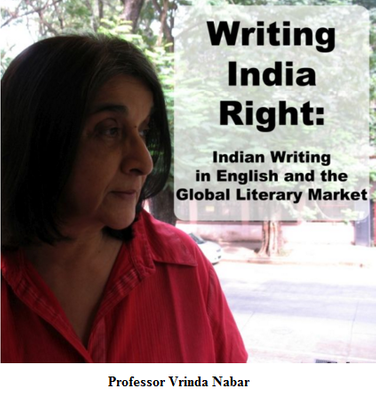 Ironic because it is Indian writing you speak of and it is India that has become the margin,’ says Prof Nabar. In this age of globalisation, however, the Indian poet mentioned would have had to meet the challenges of market criteria and location. It would seem that Indian writers in English themselves are given to satisfying consumerism, and their representation of India is formed in the light of First World and Third World projections. Anand Giridharadas, author of India Calling: An Intimate Portrait of a Nation’s Remaking, wrote in The New York Times, after visiting India to promote his book, deploring sensitivity from a section of India’s intelligentsia towards people outside India writing about India. His solution to the feud about ‘Who gets to write about India?’ was, much too simplistically, that writers should write what they want to write and readers should read what they want. The pertinent questions that the Indian intelligentsia were asking about who makes the decisions that only certain kinds of material about India should be published and why writers based outside India are given precedence over Indian writers living within the country where ‘Writing About India’ was concerned, were conveniently ignored by him. There is an arrogance in diasporic writers that emanates from a limited vision of their own advantageous position in the global market. 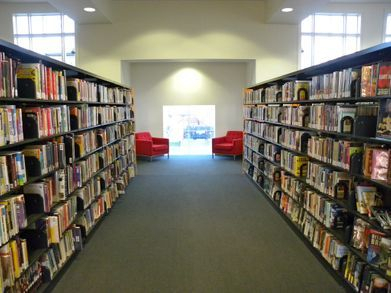 Giridharadas, for example, had the advantage of having the readership of The New York Times within his grasp and his readers would have well bought into his logic. Any well thought out response from the Indian side would be labelled as ‘nativist hysteria’. In truth, it is the Western newspapers and journals, and the markets they cater to, that dictate who ‘Writes About India’ and how. This allows for a selective and narrow representation of India lending credence to the notion that colonialism persists in a post-colonial world, albeit in a different form. The world view of India is projected through the vision of First World countries, offering readers a portrait far removed from the India as seen by Indians. Colonial rule contributed to mixed cultures but certain aspects of a hybrid culture may supersede others and guide any changes that take place, such as the dominance of English as a global language as opposed to Arabic, and, in the context of the talk, it is the Western imagination’s tendency and power to portray an unrealistic Eastern world. Giridharadas complains about the disdain that the Indian elite have for his work, attributing it to their resentment towards upward movement of the lower classes that he writes about. More than 20 years before Giridharadas, there was V S Naipaul who expressed his surprise at a thriving Marathi literature in chaotic Bombay in his India: A Million Mutinies Now. This is after he had already written two books on India. ‘The truth again is that to most of the First World Indian literature meant and still means simply the literature of the diaspora. It is a myth most diaspora writers are in no hurry to debunk,’ say Prof Nabar. Any critique from the margins (India) has always irked diasporic writers whose work is widely accepted by readers beyond Indian borders. This criticism to Naipaul was rooted in ignorance, to Rushdie it was intolerance and Giridharadas saw it as sensitivity owing to nativism. The lack of respect dispensed to regional languages can be evinced in Salman Rushdie’s statement in The New Yorkers commemorative issue to celebrate 50 years of India’s independence. He deemed that any worthwhile Post-Independence writing was in English. But it is not just the regional languages that are side lined, Indian writing in English from the margins as well as works translated into English meet the same fate. Other countries know little of the real India that can only be revealed through the writings of natives; writing that remains unaltered with no intention to suit consumerist tastes. It is time such Indian literature found its place in the world. This article is based on a lecture by Prof Vrinda Nabar which was jointly organised by the International Centre Goa and Goa University.